When I was a kid growing up in another province, at a time before farmers became rich land barons, it was always easy to spot an oil patch worker coming back home from Alberta for a few days. Invariably they had a fancy new truck, and could be spotted at watering holes regaling old friends with tales of exciting jobs, big money, and a dynamic new life. While leaving home wasn’t always fun, it was a wonderful example of a path that was always open to Canadians living in economically challenged regions. Few realize the benefits to a country of having that option available to citizens. All citizens. This tale, in various forms, has been repeated across the country, from east to west and north to south. That energy-related backwash of money that flows into small-town Canada is a massive benefit felt across the country, one which also brings a fresh understanding of Canada’s energy sector to anyone who encounters it. That includes you too, Quebec. I recently got to know Yves, an excellent fellow from Montreal, and his charming partner Chantal. Both exude a joie de vivre that reflects the best of the province, and both, having spent time here, now understand completely the value that the oil patch brings to Canada. Yves speaks of commuting from eastern Canada to Alberta on planes full of workers from Quebec and the Maritimes, and each one of those long-distance commuters brought income to smaller communities. No other province has such a depth of interprovincial (and international) diversity. The question of diversity is, in fact, a refreshingly moot point. In the oil patch, the pertinent question is: do you want to work? That is, when there is work available. Yves also had an interesting observation, one that can only be appreciated by actually speaking to people from other regions. Quebec, in some ways, sees a commonality with Alberta. Both are energy powerhouses with excess to spare (in Quebec’s case, hydroelectric). This may seem subtle but it is not, as it shapes a provincial viewpoint that few jurisdictions can fully relate to. There are differences between the Quebec and Alberta situations of course. 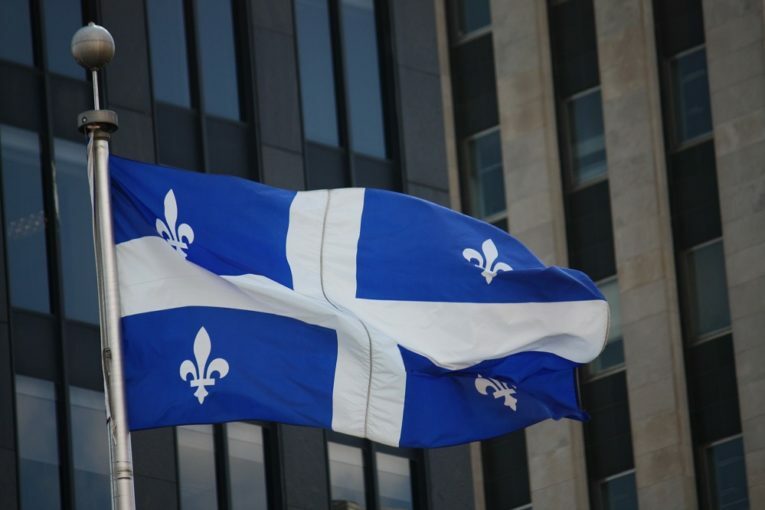 Quebec’s desire for recognition is largely cultural, a desire to keep alive unique aspects of the province. Quebec’s aspiration to be recognized as unique makes it a bit of a tough sell outside the province. Economically, Quebec’s enviable hydroelectric industry provides an energy surplus, and the province sees no need to take even the slightest risk to its environment. Or, to be more precise, their ruling elite sees no benefit; the rest of the population is most likely under the same spell of disinformation that the rest of the country is with regards to Canada’s petroleum sector and how horrifying it is. It is not, but you wouldn’t know that by listening to the dominant themes in the media. Alberta’s aspirations are miles apart, however. They are largely economic, and are most definitely not a tough sell across much of the country. Most parts of the country have benefitted indirectly from having friends or family employed in the energy sector, and every single Canadian benefits directly from the wealth that is distributed as transfer payments. Perhaps Alberta’s remarkable diversity illustrates another imbalance as well. If a Quebec company wanted to ship power across the country to BC, the odds of that project facing a backlash in Alberta like pipelines do in Quebec are almost zero. Alberta is open to people, open to business, and open to sharing the benefits of its resources. Alberta is not unique in this regard of course, but no other region has the ability to move the national economic needle so dramatically. This present discord, between the fury and frustration building in Alberta and the aloof disdain that is the hallmark of the environmental activism currently paralyzing Canada, is therefore showing up as tremors across the country. A cartoon in the Halifax Chronicle Herald shows a blazing building with an “Alberta” sign, and firefighters ignoring it to focus on a car with an “Oshawa” license plate and a bit of smoke coming from under the hood. This is but one example, but it is indicative of the quiet but smouldering realization that Ottawa is fiddling while Alberta burns. Ottawa, fully captivated by visions of UN glory, seems utterly oblivious to the real, tangible impacts that passing bills like C-48 (the tanker ban) and C-69 (the everything-else ban) will bring. It appears Canada has a choice. It can do like Yves and Chantal did, to learn about the other parts of Canada, understand them, see how they fit into the Canadian fabric, and come to a balanced realization that we can preserve both our economy and the environment. The alternative is to accept the dominating myths and legends about how Canada is somehow an outsized culprit in the climate debate, and watch the country get torn apart. If you think a Quebec independence referendum was big news, your socks will be blown off by the Alberta one. The fight for cultural independence will pale in comparison to the fight for economic survival.